Learn about the #1 parental control app for Android! It’s a must for the MamaBear team to stay up to date on the latest technology, news and developments in the mobile industry. We strive to deliver the latest technologies available in the major Android and iPhone devices that integrate with our MamaBear family safety promise. Lately we’ve had more than a few parents ask which phones we recommend, and why. 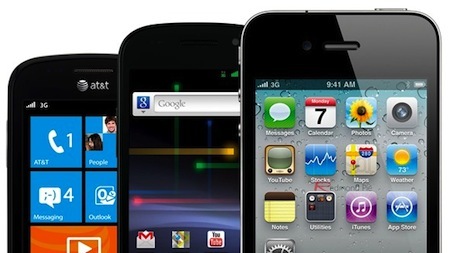 Android phones and iPhones are by far the largest portion of the smartphone market. Here’s our comparison to help you determine the best option for your kids. There’s no doubt that the iPhone is incredibly popular in design. iPhones integrate well with other Apple products through use of iCloud and offers great device parental controls built in the settings. Kids love Siri and access to many well-regulated apps for hours of entertainment. The ability to save on data costs is also a nice benefit using imessaging when connected to WiFi. iPhones are expensive. The designs are so popular that only 2-3 versions of iPhones are on the market and supported by Apple at any given time. Families are also finding that the new power adapter port on the iPhone 5 isn’t compatible with older iPhone technology like docking stations and power cords. Using iPhone with tracking and monitoring apps can also become a bit more difficult as developers have tight guidelines for app features. Unlike iPhones, Android powered smartphones have a wide spectrum of models and prices from several manufacturers. This can give parents leeway to get the phone that fits their family’s needs well. Many Android powered phones tend to have upgradeable memory and are extremely customizable. Another big advantage that comes with Android phones is the insurance that mobile carriers often provide. Android phones are generally easier to insure against loss, theft and accidental damage than with the Apple replacement program. We also experience faster development cycles with greater opportunity to introduce in demand monitoring features like text message monitoring. Android phones aren’t without their faults. In general, we’ve seen parents have more success with child safety apps than with built in Android settings. Unlike iPhones, Android phones have hundreds of makes and models. This can make research before buying quite a bit more difficult than picking the popular model in the store. The newest Android operating system aren’t uniform meaning owners of older Android models might have to wait for the newest platform updates. When it comes to smartphone shopping for the kids, we think the Android platform wins out. Ultimately, the generally lower price points, a wide range of options and ease of replacement makes Android the best option for kids of all ages. In addition, location monitoring, device monitoring also becomes more efficient with Android devices. iPhones are excellent devices and we are definately apple fans, but today we think the Android platform is the best option for our kids. We’re proud to have MamaBear on both the Google Play Store and the Apple App Store. Check it out and let us know what you think! Android Parental Control – What are your options? The invention of smartphones and social media combined with younger children now having cell phones has led to new needs and new possibilities in parenting. With the added responsibility and dangers associated with smartphone ownership, it’s no surprise that parents quickly turn to child monitoring and parental control apps. There are several parental control apps and options for Android; we’ll take a look at a few. It’s also good to remember, when it comes to parental control apps, to consider very specifically what the app needs to do for your family. We need parental control apps for a variety of reasons. Our own peace of mind as parents is as good of a reason as any when it comes to wondering about a child’s whereabouts and well-being. Children exploring boundaries can also require more intense scrutiny than we’re able to gather simply by observing in the home as parents. Some parental controls are necessary to keep children from texting too much; some are simply good for curbing problem behaviors. Which Android Parental Control Apps Should You Use? The Android platform offers a few good options for parental monitoring and control apps. For younger children, apps like Reward Chart can make for an easy transition into parental monitoring, as well as enforcing good behavior. Apps that prevent tampering with the phone like Kids Place are popular with parents, but not always with kids. Apps that monitor location and social media, as well as phone usage are also popular with parents, though require a monthly service fee. Apps like Kids Place and Kid Mode can be used to prevent all tampering with a phone. Parents can install these types of apps to choose which apps and features the child can access. Apps like Reward Chart, if installed early in a child’s phone progression, can help a child develop good behaviors and make the adjustment to parental monitoring apps easy. Monitoring apps like Code9, MMGuardian and Phone Control give parents varying monitoring options but come with monthly or up-front fees. Other family locator apps can track children using GPS, but most come with few options. Norton Online Family offers online monitoring but lacks GPS tracking or location alerts. 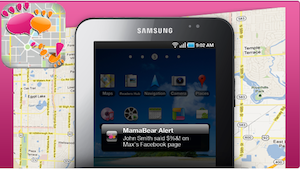 MamaBear offers multiple GPS monitoring options, as well as social Media and driving speed alerts, making it an excellent, well-rounded solution to parental control apps and is free during its beta launch. General GPS monitoring apps are good, but they don’t provide as much depth with additional alerts and multi-functionality. Apps that prevent tampering are a good idea if a parent wants to be sure that software stays put. When combined with the MamaBear app, these apps give parents a free, comprehensive solution for child monitoring and parental control. What Android parental control apps have you tried? Looking for a parental control app for your Android device? We review the top 8 parental control apps on Android devices.